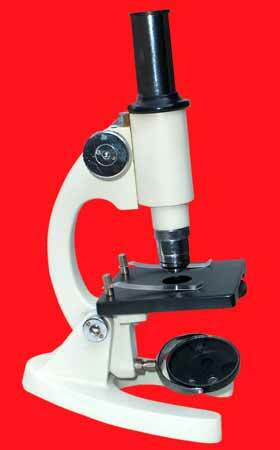 Straight monocular body with triple revolving nose piece having safety stopper for slides. Coarse and fine motion with separate knobs. Illumination : Substage N.A. 1.25 two lens Abbe condenser with iris diaphragm focussable with rack and pinion.